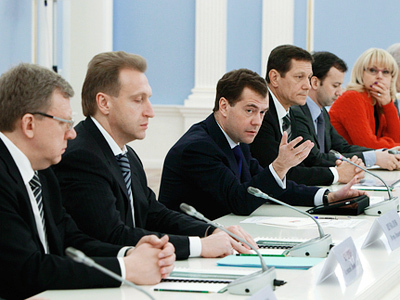 Support of the unemployed should be a key priority, President Dmitry Medvedev said during a meeting with leaders of the State Duma factions in Sochi. ­Medvedev, who is now on a working visit in Sochi to inspect Olympic facilities, met with the United Russia Chairman Boris Gryzlov, Communist leader Gennady Zyuganov, head of the Liberal Democratic Party Vladimir Zhirinovsky and Chairman of Fair Russia, Sergey Mironov. He also noted that all the parties, not only the ruling United Russia, should make defending citizens’ labor rights their priority. He also urged control of financing allocated by the federal government for employment programs, adding that “parties have their tools” to do so as they are in dialogue both with employers and trade unions. 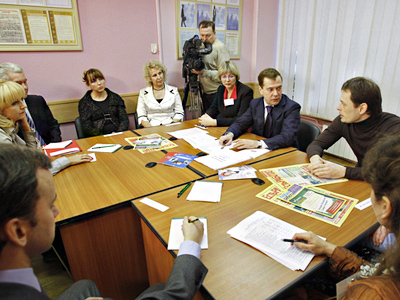 Earlier in February, Medvedev raised the issue of unemployment at a government meeting, drawing particular attention to the problems of so-called mono-cities relying on a single industry. Back then he informed that the government has worked out special programs for the creation of alternative jobs and that they are now being implemented in 35 such cities. During the meeting on Saturday, the leadership of the United Russia party also officially submitted to him lists of nominees to govern the republic of Chechnya and the Ulyanovsk region. The nominees for Chechnya include its incumbent head Ramzan Kadyrov, the mayor of the republic’s capital Grozny, Muslim Khuchiev, and head of the Grozny region, Shaid Zhamaldaev. As for the Ulyanovsk region, the incumbent governor Sergey Morozov is also among the nominees, as well as Ulyanovsk mayor Aleksandr Pinkov and an auditor from Russia’s Audit Chamber Segey Ryabukhin. 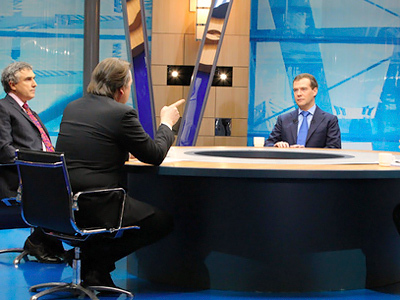 Observers say both Kadyrov and Morozov stand high chances of reappointment. Kadyrov has been ruling Chechnya since 2007 and his term comes to an end in April. Sergey Morozov has governed the Ukyanovsk region since 2004, with his second term expiring at the end of March. 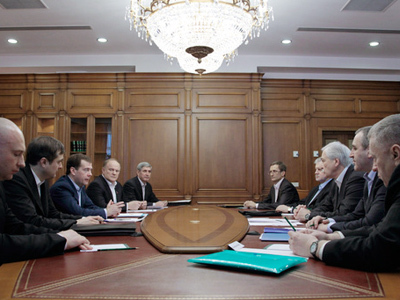 Accepting the submission, Medvedev promised to come up with a decision soon. Once he chooses one nominee for each of the regions they are subject for approval in regional legislatures.